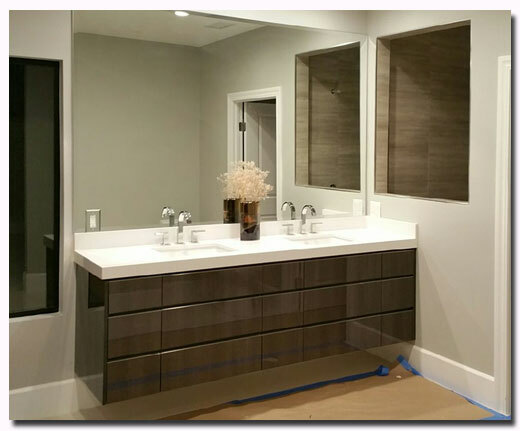 We take tons of pride in the pictures of our cabinets that we post on our website, however, the effort that goes into presenting our work is nothing compared to the time and effort that goes into designing, manufacturing, and installing the cabinets. The people who make this happen often do not get any credit. On this page, we will highlight the 'behind the scenes' work that makes all of the pretty pictures possible. It is our company policy to present our work, and only our work, but more than that -we cringe at the thought of selling ourselves with computer generated images and pictures of other peoples work- Design Service not withstanding (design is all computer generated). We should note: some pictures of Luxe on our site are not ours (it's new! ), those picture are from the manufacturer, we will replace those as soon as we can replace them with our work. It's tough to find the time to re-visit past projects to bring you magazine quality pictures. Just read our January blog post and you'll understand why...and most of our orders are shipped across the country. As much as some employees would like to travel...you can see the problem. This issue is the impetus behind the 'Projects Page'. We want to share what we are, and have been working on -yes- we bring you some of that content on our blog, but the blog requires much thinking, and writing (okay, maybe no so much thinking). We're not presenting the Projects page just to toot our horns -there are some really interesting things going on with each project we handle. 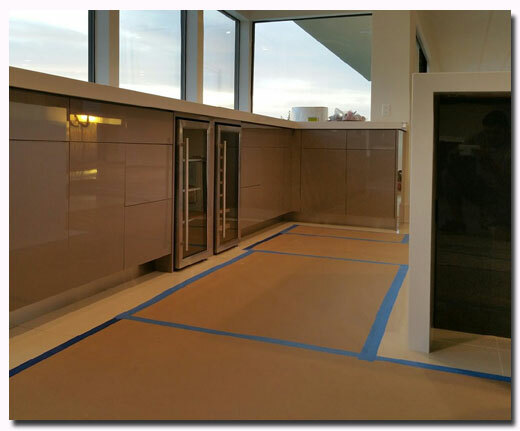 We feel that seeing these 'works in progress' will not only show you our capabilities, but may provide some inspiration for your own kitchen or bathroom project. Project features integrated SALT Filo handles. Stainless steel toe kicks. 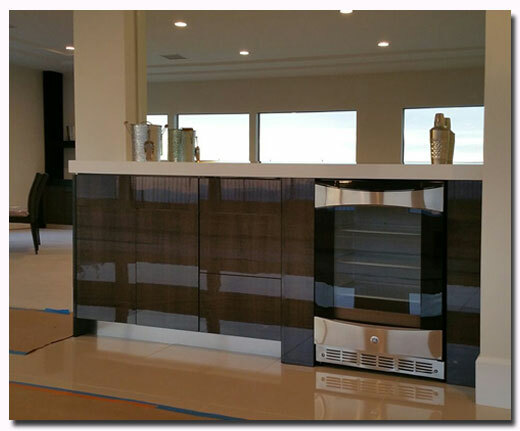 Luxe Basalto high gloss kitchen cabinets. Stainless steel toe kicks. 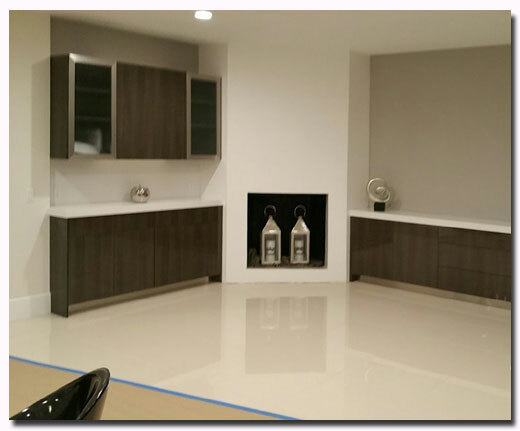 Luxe Basalto high gloss kitchen cabinets. Stainless steel toe kicks. Waterfall counter tops. 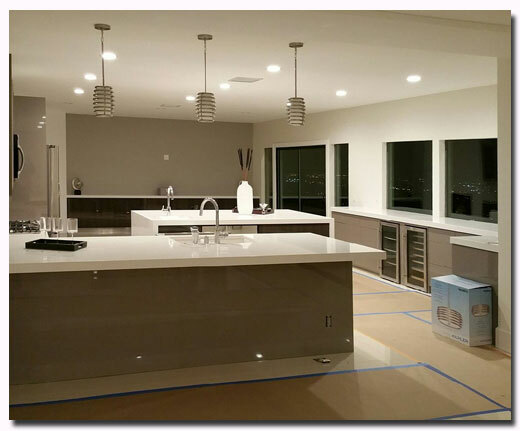 Luxe Basalto high gloss kitchen cabinets. Stainless steel toe kicks. Waterfall counter top. 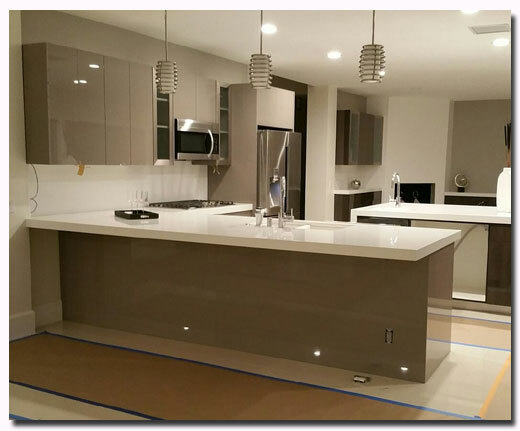 Luxe Basalto high gloss kitchen cabinets. Stainless steel toe kicks. White marble floor. Luxe Roble Frappe high gloss island. Stainless steel toe kicks. Luxe Roble Frappe high gloss floating vanity with integrated Filo handles.